Short description D800 with MDX800 housing and 240mm dome port. 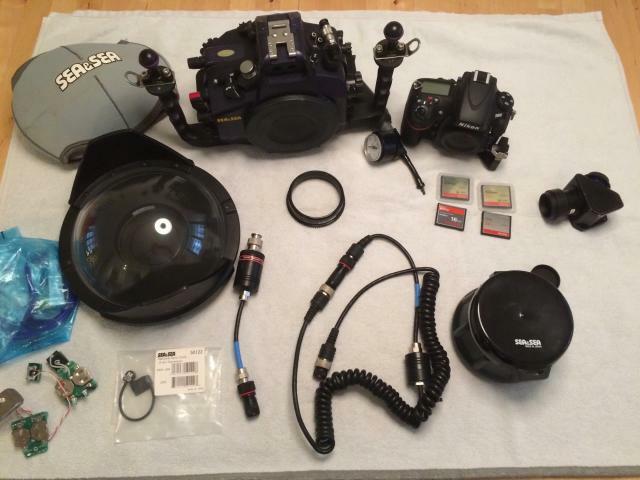 Additional information For sale; D800 with MDX800 housing and 240mm dome port. The housing has just had a complete rebuild (Sea and Sea service agents - Aquashot UK), and I have only had it on one dive since (fresh water to 80m). Also included is the backscatter vacuum system (in addition to housing also has leak alarm the housing has as default), which costs 300euro. Plus D800 original box, charger, plus spare battery and 4 CF memory cards. Will also include 2 micro strobe triggers (can be used instead of built in flash for optical trigger. I have also added an electrical connection for hard wire trigger of strobes. Housing has usual signs of ware and the left arm had a small repair due to an over zealous crew member, but is a non issue, it is as good as new. Port is in fine condition, no scratches. Price 2300euro. 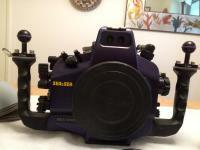 Short description: D800 with MDX800 housing and 240mm dome port.